Lots of vintage fashion is on offer at the Clerkenwell fair. Fifty standholders will set out their shimmering frocks and headwear, including this mirror image of a gold seashell creation by Bellapacella above. 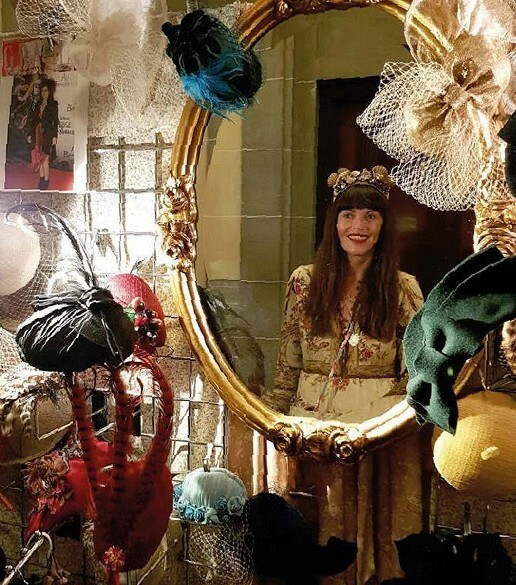 Top-quality vintage from the 1900s to the '90s is offered at these fairs so November’s event in London, just to the east of the centre, four weeks before Christmas, copuld be a perfect spot to hunt for a party frock. It offers lots of ideas for one-off presents including jewellery and vintage watches which you won’t find on the high street.